Let’s face it, you come to the North Fork to eat. Ok, and kayak, swim, and stroll through Greenport. 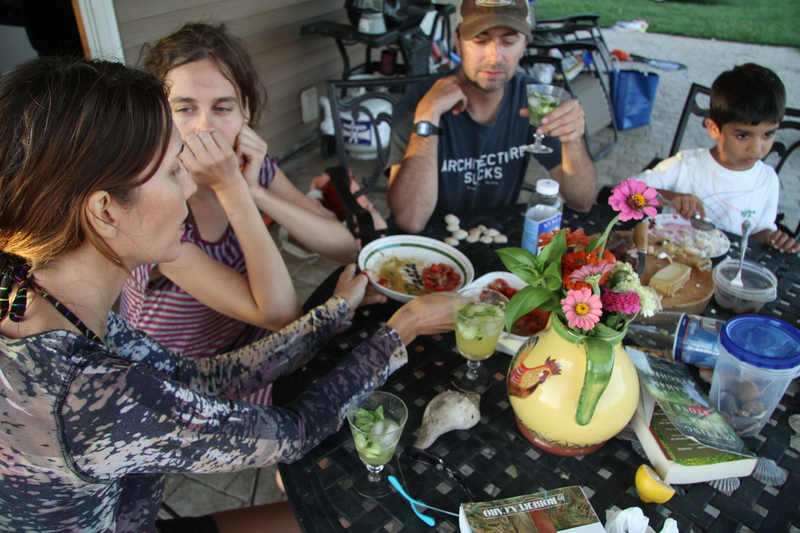 And, well, grill, eat fried clams, fish, and go to farm stands. Well that’s why I come to the North Fork. For the rest of the week I’m in Orient Point at the very end of the Fork, about 2 1/2 hours due east from Brooklyn. Past Riverhead and Cutchogue, beyond Southold and Greenport, and just before the lighthouse. Here’s a snapshot of today’s eats. There were small and sweet Peconic Bay scallops; marinated hanger steak; ginger and lime cocktails; tomatoes marinated in pesto; Sri Lankan sambal; succotash with bacon; and greens with herbs in a lemon-mustard dressing. I had a 4 1/2 year-old sous chef to help with the steak marinade. It went something like this: set aside 2 lbs of skirt or hanger steak. In a large bowl combine 1/2 c soy sauce, juice from 1 lime, 1 shallot finely chopped, 1/2 c thinly sliced scallions, and a couple of pinches of Maldon salt and freshly ground black pepper. My sous chef loved squeezing the lime, determining “what’s a pinch of salt?” and dredging the steaks through the marinade. Let the steaks marinate for 10-20 minutes before grilling, then grill to medium rare. As someone said between bites, this steak tasted like chocolate. It was dark and smoky and caramelized and delicious. My friend Sumathi made the cocktails. 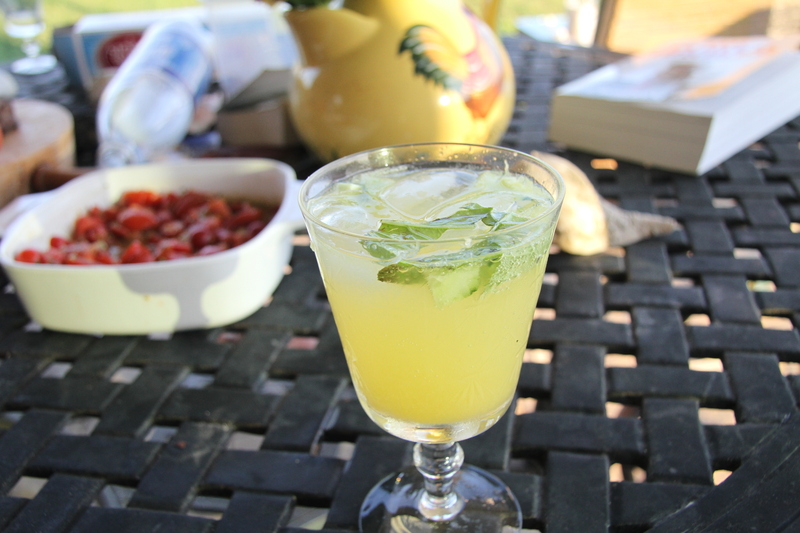 Mine was 1 tbsp simple syrup with fresh chopped ginger, 1 tbsp lime juice, club soda and a splash of orange juice, garnished with chopped cucumbers and basil. The grown-ups had Brooklyn Gin in theirs. 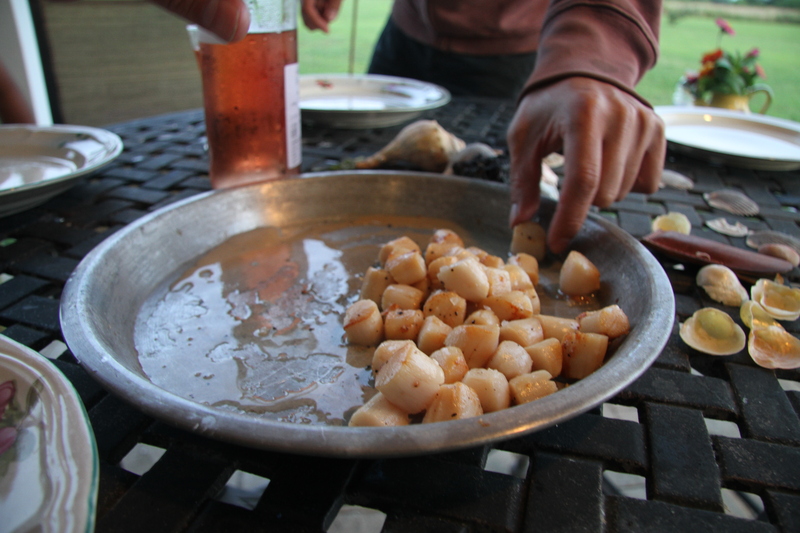 To make the scallops, wash and dry 1 lb (or 2 or 3 lbs, frankly, you can eat these things like candy corn) bay scallops. Rub a little bit of olive oil on the scallops and season with salt and black pepper. Sauté in a dry hot skillet for about 2 mins. on each side. 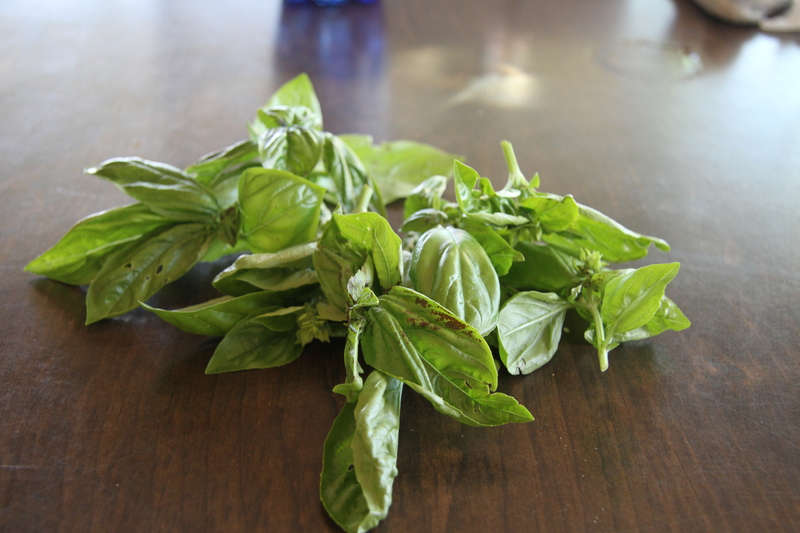 Serve with squeezed lemon juice. If the weather cooperates, tomorrow morning will be for tennis, the afternoon for swimming, and the evening—I hope—for oysters, more bay scallops, and taking my friends’ money (aka poker).